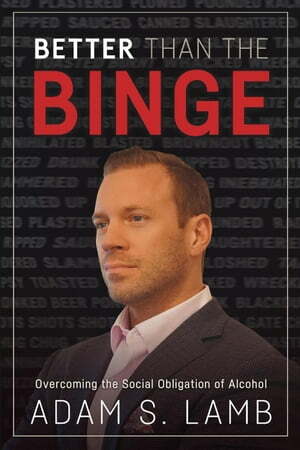 Collins Booksellers - Better Than the Binge: Overcoming the Social Obligation of Alcohol by Adam Lamb, 9781386527183. Buy this book online. Eliminating alcohol from your life is a surefire way to up your game, personally and professionally. But in today's world, drinking is a frequent social obligation, and the pressure to "have a drink" can be tremendous. Adam Lamb said, "I'm all set," to booze and he is happier, healthier, and a more successful version of himself without it. In Better than the Binge, he offers powerful arguments for quitting, as well as tips on how to do it without becoming a social outcast. This book isn't aimed at serious alcoholics but at the everyday Joe or Jill who feels compelled by their peers to drink at parties, sporting events, and after-work gatherings. Adam provides information, motivation, and proven strategies for kicking the casual alcohol habit—from ways to navigate your social situations to different habits you can adopt to ease the stress of quitting. Better than the Binge is your map to a richer life, because not drinking is the new cool.